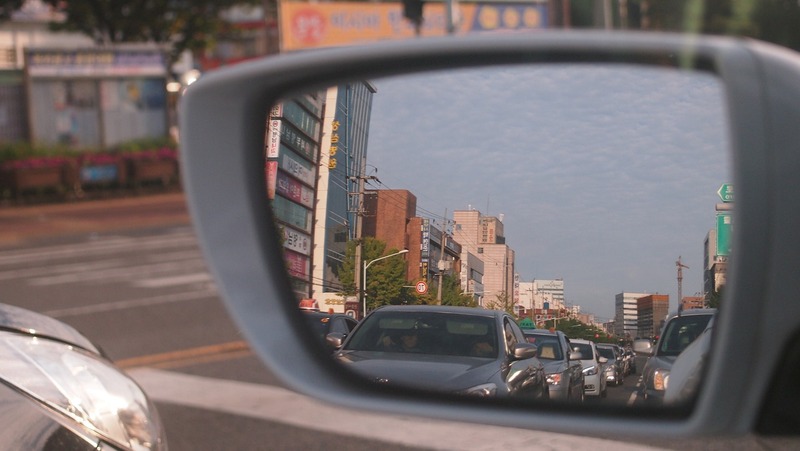 Big Ideas: What are procurement’s blind spots? One of the most incendiary sessions at the Big Ideas Summit saw us gazing into our crystal ball with a view to identifying procurement’s blind spots. “There are known knowns… There are known unknowns. But there are also unknown unknowns.” – Donald Rumsfeld. This brilliant distillation of what was quite the complex matter can also be attributed to the disruptors likely to affect both business and procurement. We’re already well versed on innovations like 3D printing and social media, as well as water scarcity and climate change – but what of the blind spots, the things that no one is talking about yet? We encourage lively discussion on Procurious, and this is exactly what we get here! Mike comes back: “My view is that anyone can negotiate. It is inherent in the human DNA and we all do it every day of our lives without realising it. But not everyone is able to – clearly articulate a specification and ensure all tender responses are like for like, create a valued weighted score card for value comparison, understand the cost of resource through the entire end to end process, look at where to reduce waste and enable people to great more value, contract management and risk mitigation (plus many more excellent tasks). To round this particular topic off, Mark Johnson wanted to highlight Rogue Spending Activities, having seen this over and over in many different industries. You can still view and add to the discussion here. Our favourite comments will be featured in a future instalment. We’re putting Big Ideas from the Procurious community in the spotlight… Here’s a particularly creative effort from Anya McKenna of Market Dojo. Great job! Market Dojo want to make eSourcing for everyone, following on from a TED lecture about the 4 stages of technology. In Anya’s view, eSourcing is yet to reach a commodity level, but it’s just a matter of time… Who will be the first?! Want to add your voice to the conversation? We want you to share your point of view and ideas with the community by creating a video no more than 60 seconds long. What’s your Big Idea? Lance Younger, CEO of Statess believes that procurement isn’t about a transaction anymore. 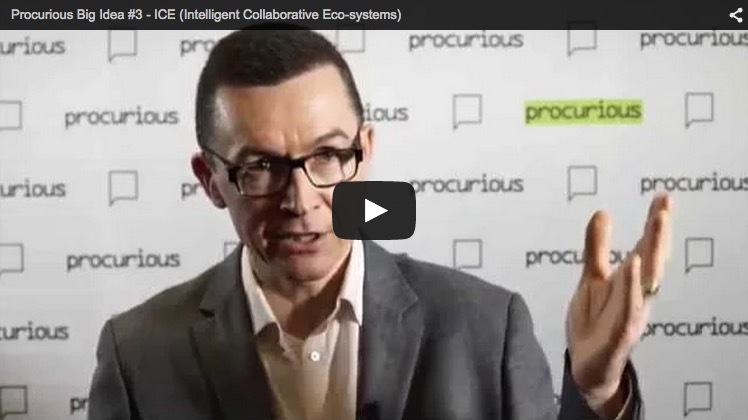 Lance says that the profession must adopt Intelligent Collaborative Ecosystems (ICE). Procurement is about long term valuable relationships. ICE encourages collaboration to solve shared global problems. Sigi originally arrived in the UK as an African immigrant with holes in his shoes, penniless and no address book. Fourteen years later, he was a global director in a FTSE250 blue-chip multinational. Today he works as a writer, speaker, business adviser and coach, drawing on insights from his atypical life journey and career success to inform and inspire others. Procurious members can find Sigi’s full keynote here. Not a member yet? Register for free. We’re on the hunt for YOUR Big Ideas – what are the things only you can say? We believe everyone has a unique vantage point in the industries, communities and businesses they work in. At the Big Ideas Summit we asked our 40 thought-leaders to record their ‘Big Ideas’ live on camera for the world to see. Whether that be Tania Seary’s vision for the future of procurement networking, or Andrew MacAskill’s desire to turn the profession’s recruitment upside down – the scope for truly revolutionary ideas is almost unlimited. We want to build on this groundswell, so now it’s over to you. We want you to share your point of view and ideas with the community by creating a video no more than 60 seconds long. It’s really easy to create a video using your computer, phone or using Skype or YouTube. We’ve recommended the best ways to create and share your video with us below. But why, we hear you ask. 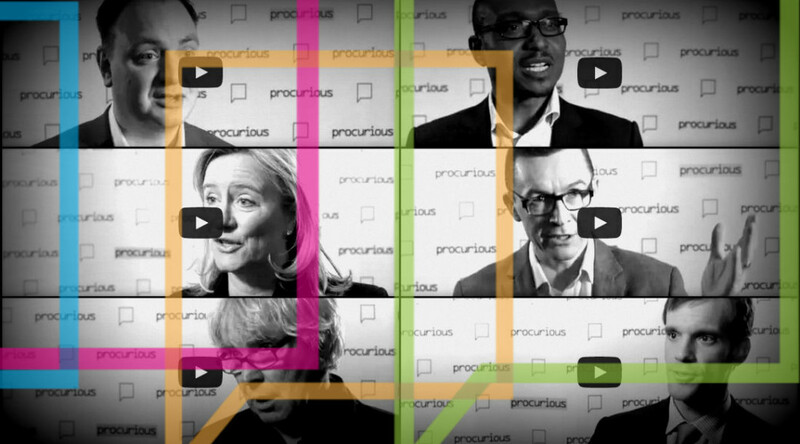 Procurious wants you to make the most of your unique position and tell us what you think is the next Big Idea that will change the face of the procurement profession, based on some of the amazing learning and insights you have. These videos will help to generate interest and discussion on your Big Idea, give you the chance to share your wisdom with a global procurement community and provide you with a platform to amplify your thoughts, and turn you into an influencer. If you need inspiration our competition winner (and great Big Idea to boot) why not listen to Bertrand Maltaverne’s submission? 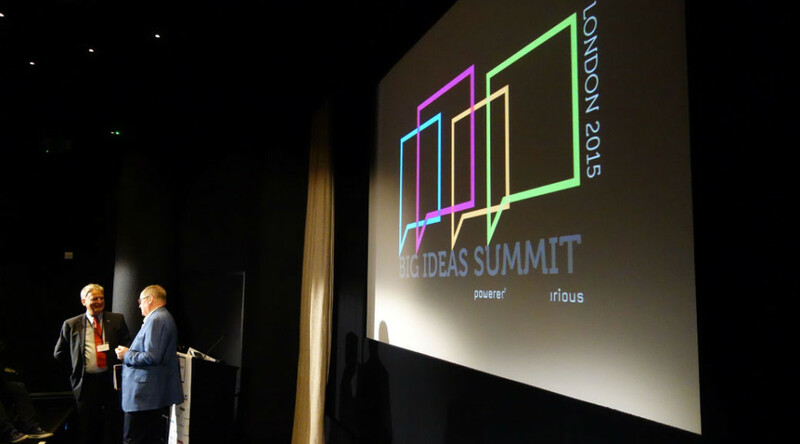 View videos from our 40 influencers at the Big Ideas Summit here. It doesn’t matter whether you film your submission on your phone, tablet, laptop or PC. We’ve put together a list of some of our recommended methods for reaching out. Once you’ve completed your film, you can reach us by email ([email protected]); on Twitter (@procurious_) or via Skype (Procurious.HQ). For an easy and painless experience, we’d recommend you record and share your Big Ideas video with us using a Skype video message. It’s really easy to send a video message on Skype and you don’t need to be sat in front of your computer, as Skype is also available for iPhone, Android and Windows Phone. Right-click and choose the ‘Send Video Message’ option. 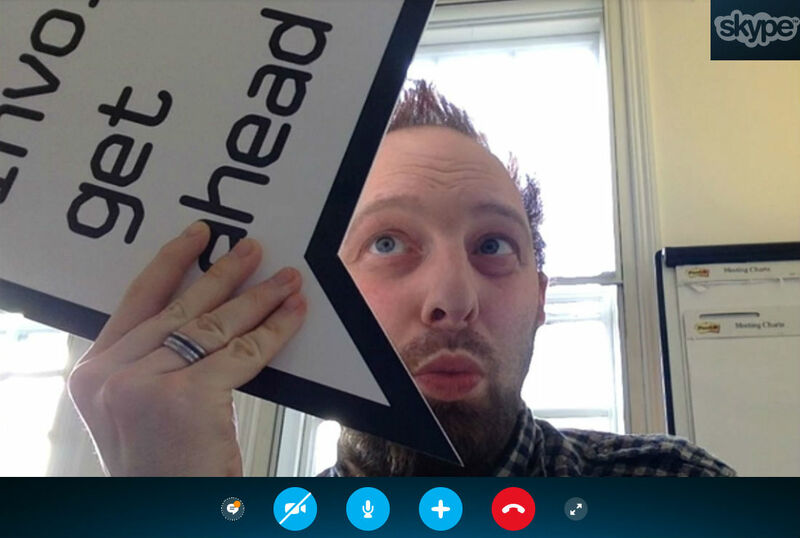 As much as we’d love to Skype with all of you, Procurious keeps us very busy so make sure you don’t call us by mistake! Skype provides you with 3 minutes to record your Big Idea: press the red ‘record’ button to begin your video message, when done hit the red button once more to stop recording. Submit your video to us using the ‘send’ button next to it. Alternatively, if you have always dreamed of being an Internet star, then YouTube is for you. YouTube appeals to those of us who get a kick out of seeing how many people have watched our video. Head over to https://www.youtube.com/upload and either select a readymade video to upload, or hit ‘Webcam capture’ to film your piece on the spot. When done press ‘Stop recording’ followed by ‘Continue’. 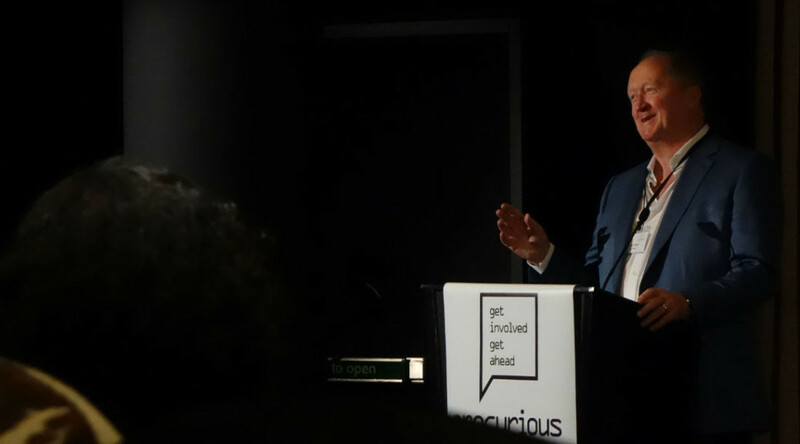 In order to make your video easy to find, we’d recommend using the #BigIdeas2015 and Procurious tags – but feel free to add more! Click ‘Publish’ when you’re happy and remember to send us the YouTube URL when it’s live. Want to submit your video using good old-fashioned email? We’ll accept that too! Attach your video to an email with the subject line ‘My Big Ideas Video’ and send to [email protected]. We look forward to watching all of your submissions and sharing them with the wider Procurious community! Andrew MacAskill, Managing Director at Executives Online, wants to revolutionise procurement recruitment. 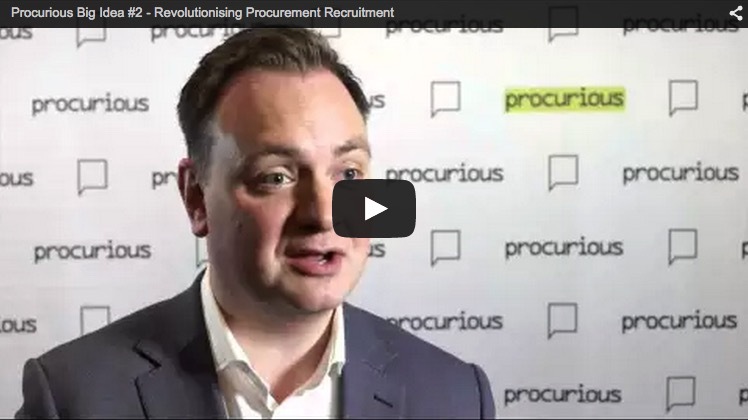 Andrew says: Why don’t we flip the procurement recruitment process on its head? Start with reference checks and psychometric testing to find out if the candidate matches the skills and experience needed for the role before investing in an interview. Rio Tinto’s CFO, Chris Lynch wants to generate an ongoing conversation that inspires a new generation of business intrapreneurs – people who can think outside the box – to drive innovation and lead change in large organisations. I believe we need to foster a culture of “intrapreneurship” within large organisations. Business is evolving at such a pace, we have the capacity to reinvent our companies from the inside. Never underestimate the value that you or a new idea can contribute. The faster you innovate, the more intellectual property you create to steal a march on your competition, and create your own future. So let’s support the intrapreneurs: the people who can drive innovation and lead change. They’re the creative, cost-conscious leaders who can influence entire organisations to spend every dollar as if it were their own, and develop breakthrough solutions for reducing costs. People at the top of an organisation usually have the strategy, a direction, and the outcomes they want to achieve, but sometimes don’t always know how to get it all done. Success requires people with ideas on the best ways to execute a strategy, the energy to challenge, the persistence to see it through. Procurement teams understand what makes a business tick, and this intelligence can help create new enterprises from the inside, by looking outside. Compared to the sales teams and the accountants, who focus on the top and bottom line of the business, the procurement team knows the importance of all those middle lines. Look to the Big Ideas that can come from new industries, new venture capital concepts, and indeed anything that will unlock or create value. It is what retailing has been doing for many years with, say, “home” brands and what airlines have been doing with re-branded low cost carriers. At Rio Tinto we have $13.4 billion contestable group spend with 62,000 suppliers, and 4,000 contracts, so clearly a lot of opportunity to reinvent parts of business, and act like intrapreneurs. So clearly there is plenty of scope for reinvention, improvement and Big Ideas. At Rio Tinto we don’t restrict ourselves to the mining industry to find BIG IDEAS, adapting or adopting new concepts. Some of our ideas have come from sectors as diverse as the car industry (the world beating logistics of our Western Australia iron ore operations and food processing (improved sorting of ore). Even military intelligence systems, where our Mine Automation System allows us to manage and monitor our mines from thousands of kilometres away. Most of the world’s leading companies have “squeezed the lemon” on costs very tightly. Thus far procurement as a discipline has done a great job in leveraging spend and working with suppliers in a very constructive way. But now we need to break through the next layer of cost paradigms. To develop and foster a culture of intrapreneurship within our larger companies will require extraordinary people, bringing extraordinary and fresh ideas to the table. People inside who can think outside existing limits. Like entrepreneurship, intrapreneurship is not easy. It will require skills, tact, diplomacy and a plan and passion. It is important you have a concurrent plan, especially if your big idea is going to take time to come to fruition. Never dismiss your own idea. Don’t kill it off just because it’s challenged the first time. Make sure you have options and alternatives for when you get the call, or wish to reframe the idea for a new environment. Now is the time to create a groundswell; for corporations and governments to develop creative, cost-conscious leaders who can develop breakthrough solutions, reducing costs and influencing whole organisations. Spending every dollar as if it were their own but looking to new ways to reinvent supply chains and whole businesses to unlock or create value. It doesn’t necessarily have to be a disruptive technology, just disruptive thinking with the plan that goes with it. 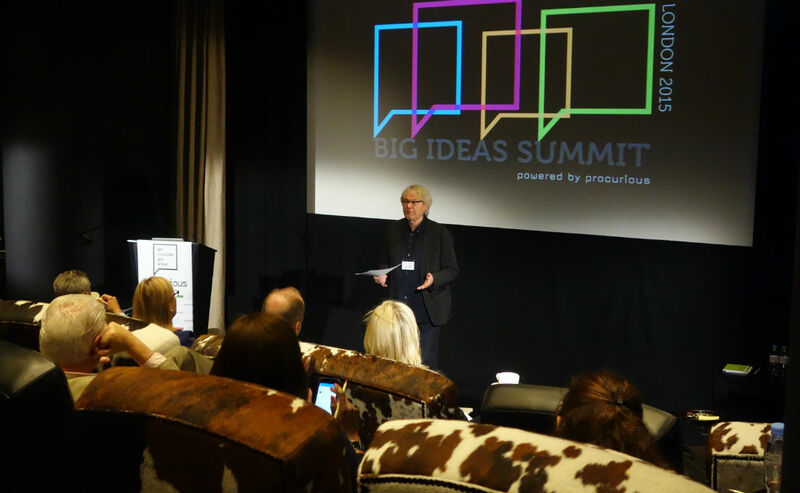 Chris was speaking at Procurious’ inaugural Big Ideas Summit as one of 40 most influential commercial thought-leaders. 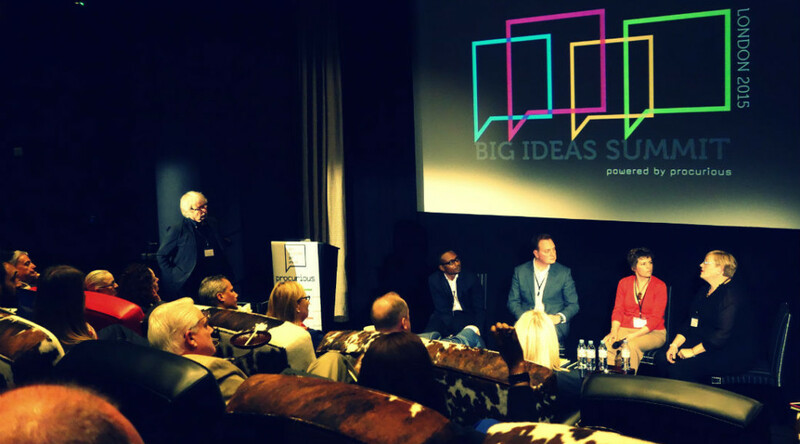 Learn more about the Big Ideas Summit and how to access exclusive content from the event. 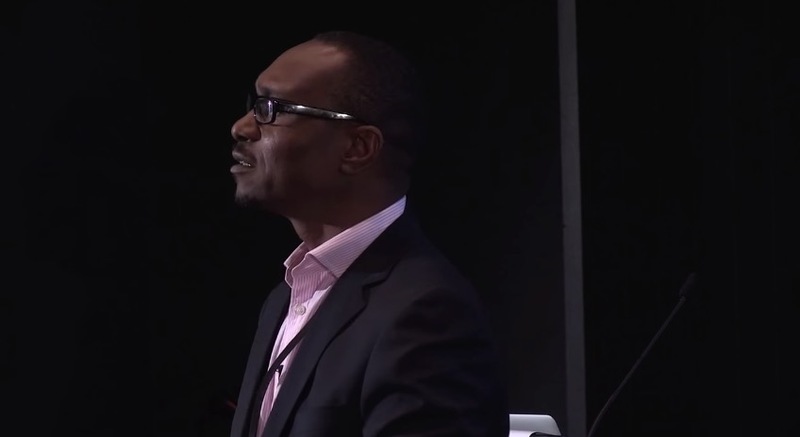 London, 30th April 2015: Creating a Wikipedia of global suppliers to help manage risk, engaging the millennials to win the war on talent were two of the innovative ideas pitched by 40 thought leaders at the world’s first digitally led think-tank for the procurement and supply chain profession, Procurious Big Ideas Summit 2015. 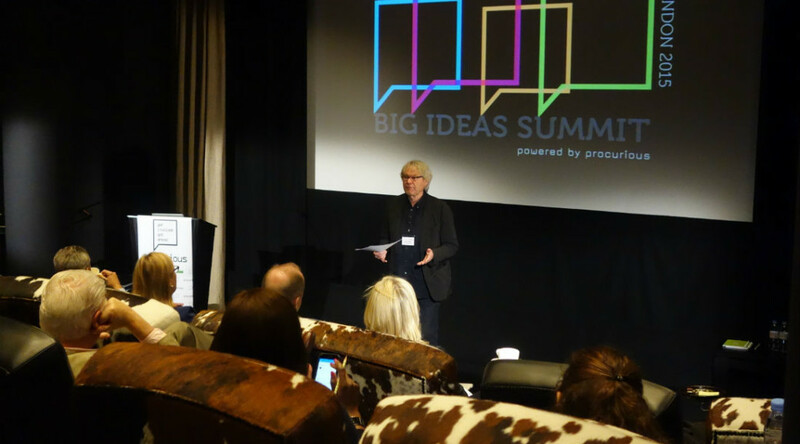 The event, a giant global brainstorm for digital delegates, sparked vigorous debate across social media with posts and discussions under the #BigIdeas2015 hashtag reaching over a million on Twitter, Facebook and over 5,000 members on the profession’s niche social network Procurious. Thought leaders from around the world including CIPS Group CEO David Noble, Rio Tinto CFO Chris Lynch, Hackett Group Principal Chris Sawchuk and Burberry Group Procurement Manager Stuart Pemble, came together to discuss their outside-of-the-box ideas under the themes: risk, people and technology. 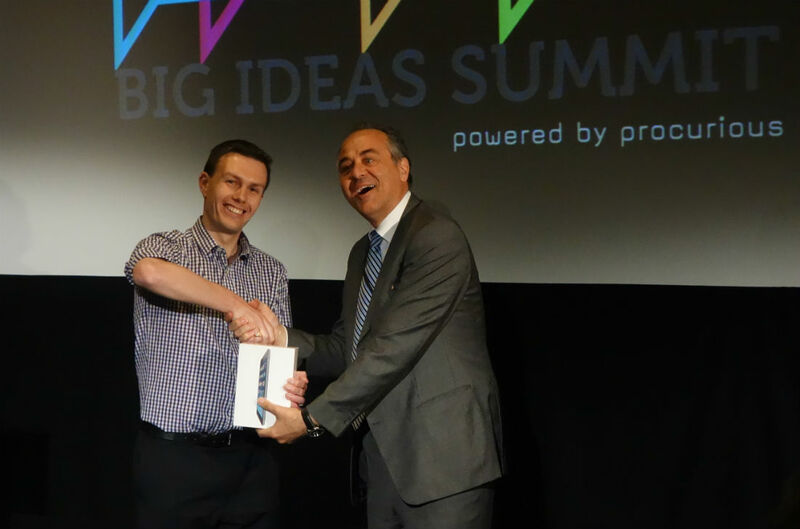 London Business School Fellow Jules Goddard’s big idea was to stop the pursuit of ‘best practice’ because it breads sameness, stifles innovation and limits the opportunities to grow wealth. “The challenge for business and procurement is not to pursue best practice, it is to pursue unique-practice – our own definition of what’s right for us,” Goddard said. 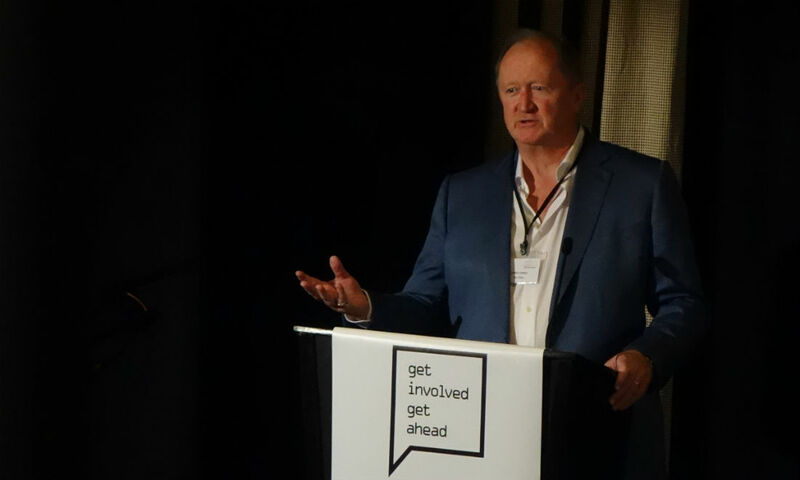 Keynote Chris Lynch, said the profession needed to foster a culture of ‘intrapreneurship’. 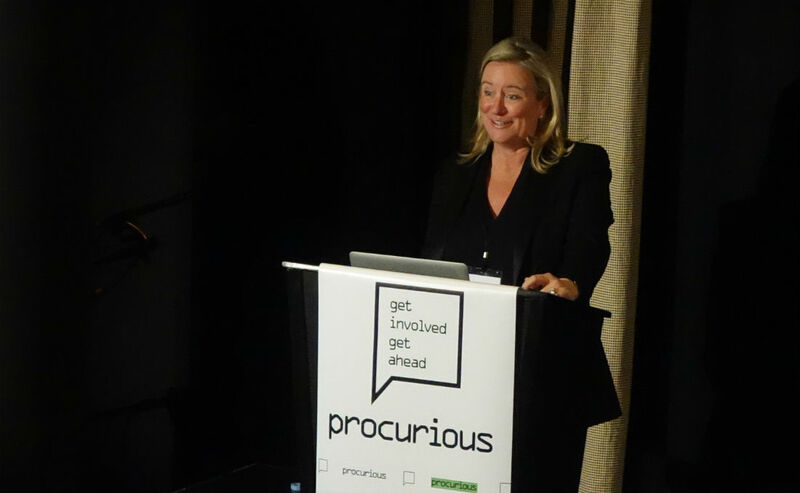 Procurious Founder Tania Seary said the inaugural Big Ideas Summit highlighted the wealth of creativity within the profession and the value of sharing and collaboration to drive innovation. “Through the ideas that have been generated today, we’ve hopefully inspired a new generation of business intrapreneurs to get their creative juices flowing, to start collaborating through networks like Procurious and then start implementing those ideas to achieve change within their organisations and the entire profession,” Seary said. If you missed the event live, it’s not too late to take part in Big Ideas 2015. 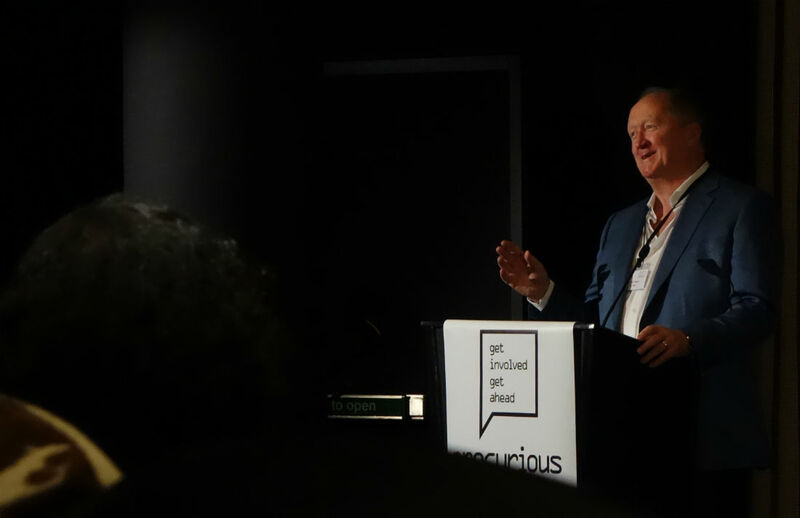 Digital delegates can access exclusive speaker and panel discussions, videos, blogs and interviews and join in trending discussions for free by joining the Procurious community. 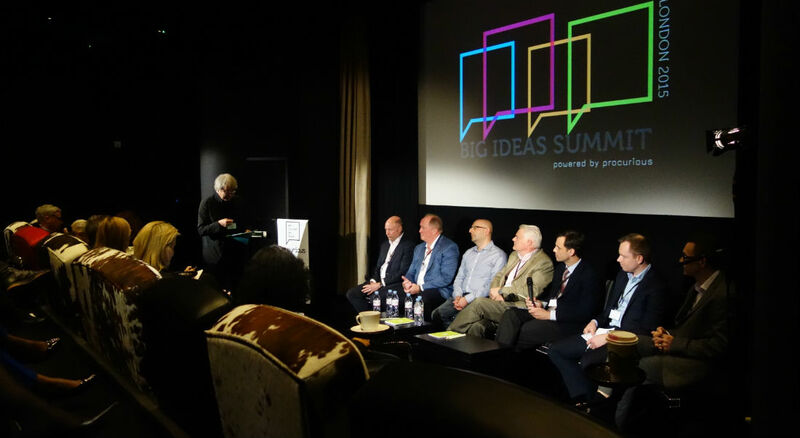 What happened at The Big Ideas Summit? While we eagerly await the first videos from the Big Ideas Summit to appear, we recap on a jam-packed day. How much of it did you catch? Our man Jordan Early set the scene for all of our ‘Digital Delegates’ who followed along on Twitter, Facebook, and Procurious. Sarah Trota, 2013 Personnel Today HR director of the year, talked us through creating ‘alchemy’ using people in organisations. Sigi Osagie got us all thinking about changing our perspective. Click to read more of Sigi’s insights. Rio Tinto’s CFO, Chris Lynch took to the floor to discuss Big Ideas in Big Companies, crucially – where do Big Ideas come from? Chris taught us not to treat your suppliers as a resource to cut costs, but someone that you can work with to generate Big Ideas… Old St Labs Mark Perera also streamed the session live on Periscope for ardent social media fans. Keep your eyes peeled for a blog series from Chris on Procurious soon. 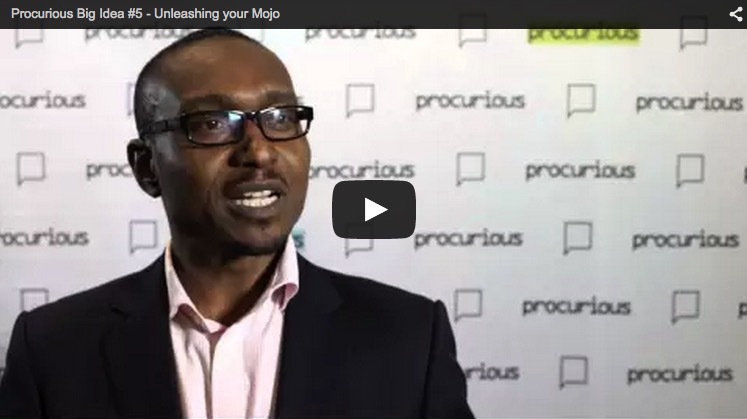 – How do we build agility into our procurement organisations? Jordan Early reckoned the ‘Where are our blind spots?’ panel discussion that featured Tim Hughes, Olinga Ta’eed, Giles Breault, Jason Busch, Nic Walden and Lance Younger was the best procurement panel he’d ever heard. It was certainly a heated affair… the reverberations of which were felt on Twitter! What was Twitter saying about Big Ideas? 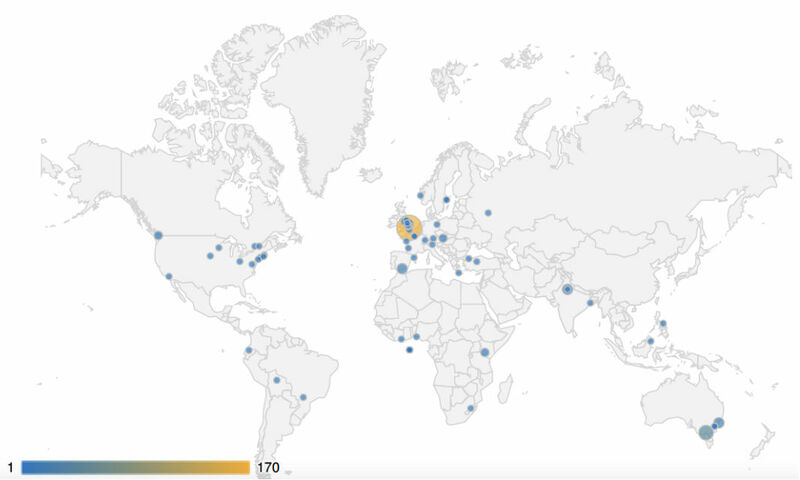 Some brief figures: Our #BigIdeas2015 hashtag was picked-up and mentioned 759 times throughout the day. In total, tweets relating to the event were served to a potential combined audience of 1,154,466 million. If you’re not following us already, come and find us using @procurious_ and help to continue the conversation! 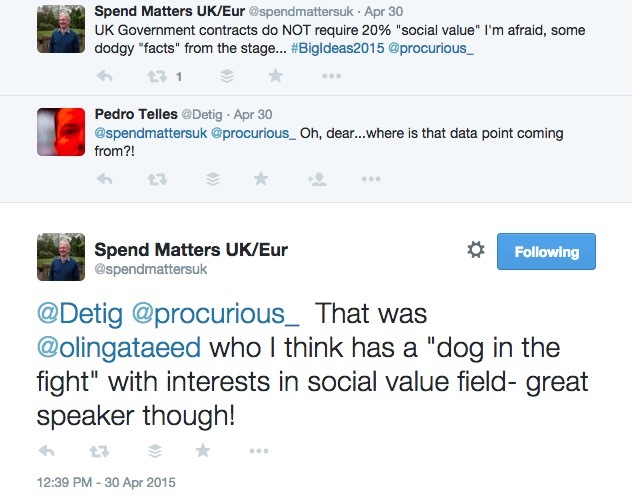 What follows are just a ‘small’ sample of tweets mentioning the Big Ideas Summit – see what influencers, thought-leaders, commentators, and fellow procurement professionals made of the day’s events.